Informations sur le produit "DV3.4x3.8SA-SA1L"
Fujinon's high image-quality monitoring with optical performance supporting 3 megapixels. 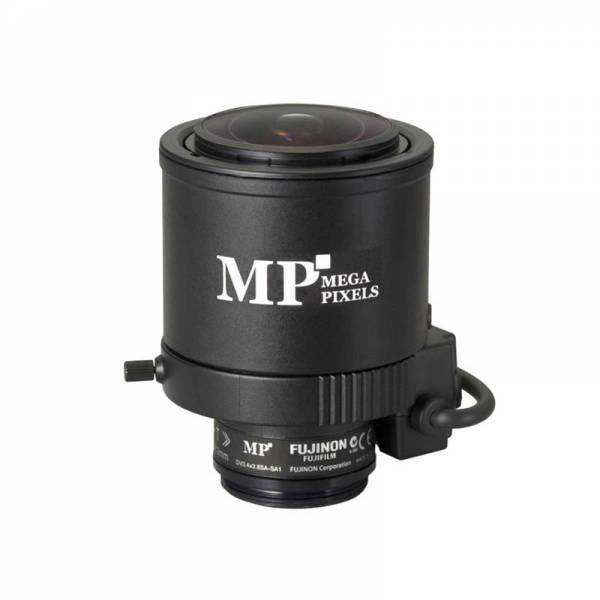 Compatible with a wide range - 1/2 inch, 1/3 inch and 1/4 inch - cameras. Wide f3.8-13mm range accomodates vrious applications. Designed to maximize optical performance with high-accuracy aspheric lens, low-dispersion glass, and high refractive-index glass. Built-in ND filter of T360, supporting high sensitivity cameras.